8am to 5pm Monday through Friday. Closed Saturday and Sunday. High Performance Fleet Graphics & Printing Solutions for America’s Hardest Working Companies! Visual Marking Systems improves the branding of your company’s products with our graphic design services, inventory management, manufacturing capabilities, and installation/removal services. We specialize in servicing the OEM, Point-of-Sale, Public Transit, and Fleet Graphics industries. Let our decals, labels, overlays, displays and nameplates help you differentiate your products from your competition. VMS has been leading the industry in customized digital, screen and large format printing services for over 50 years, We are ISO 9001:2008 certified, CSA certified, SGP certified, UL approved and can supply information required by Reach and RoHs. VMS also utilizes VMI & JIT inventory management programs, FTP electronic file transfer and EDI supply management systems. Shipping over 20 million parts a year at an ontime percentage of 97% and above, we are reliable, cost effective and your partner in improving how things are made. 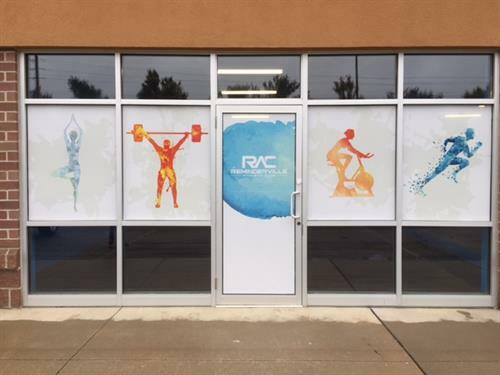 Located on Rt 82 just west of I 480 in Twinsburg, Ohio Our large white building has Window graphics along the front entrance. You can't miss us!